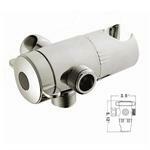 Anti-Clog Nozzle Spray: Easily remove calcium and mineral deposits by pushing nozzles with water on. 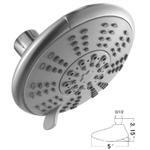 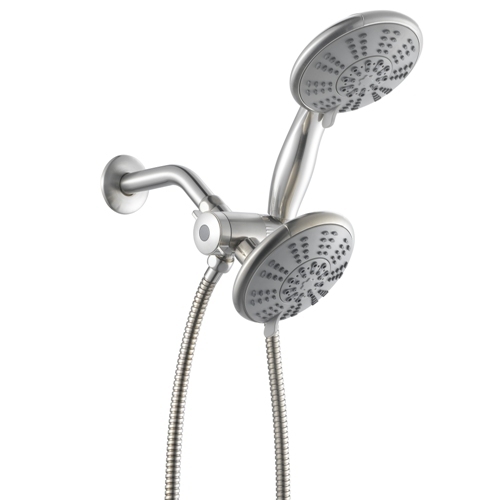 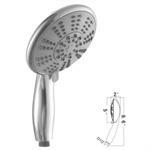 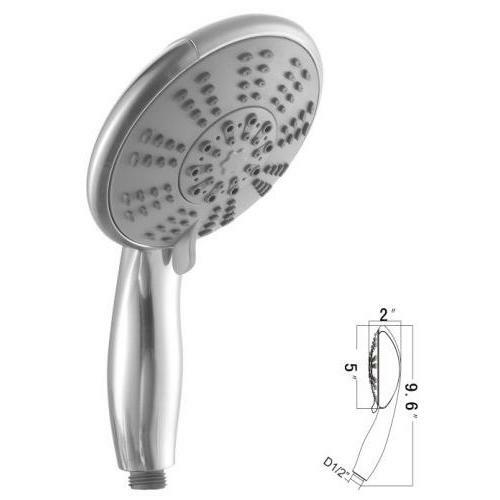 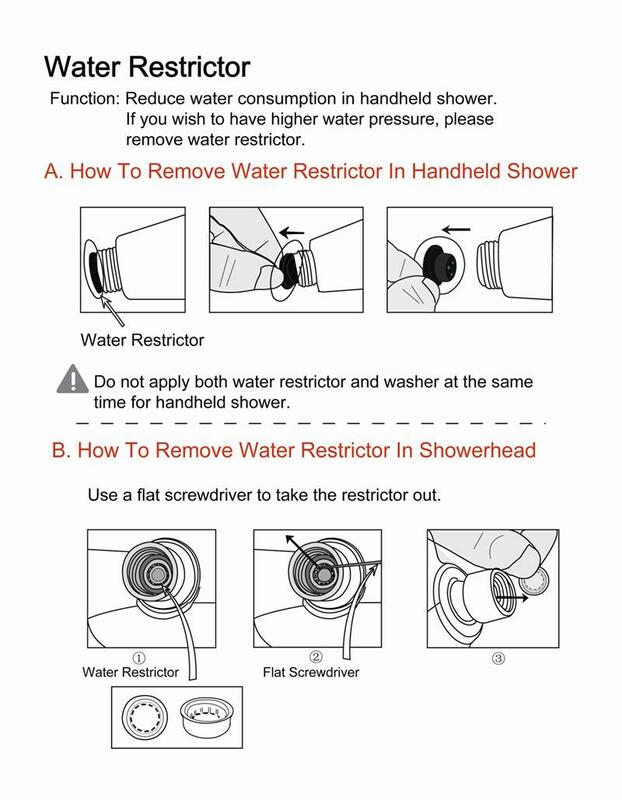 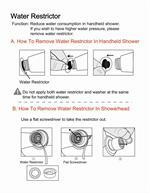 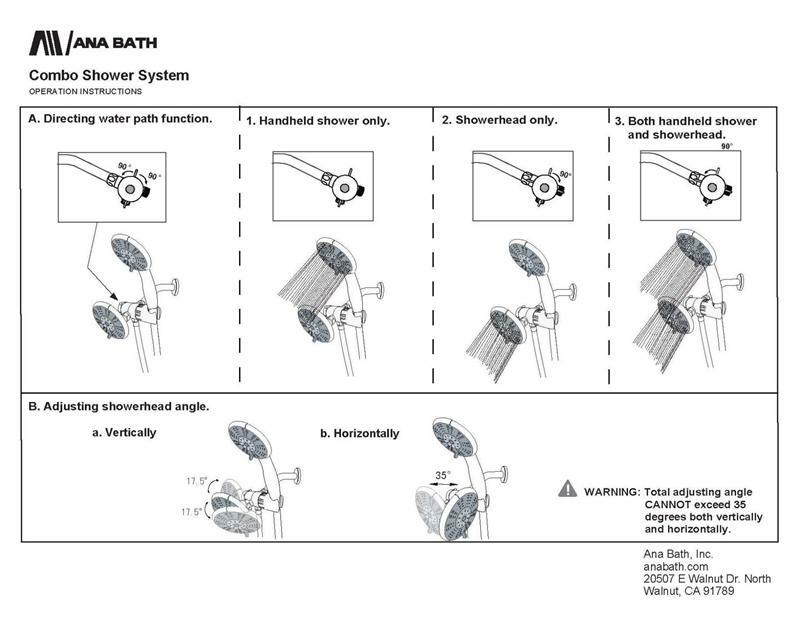 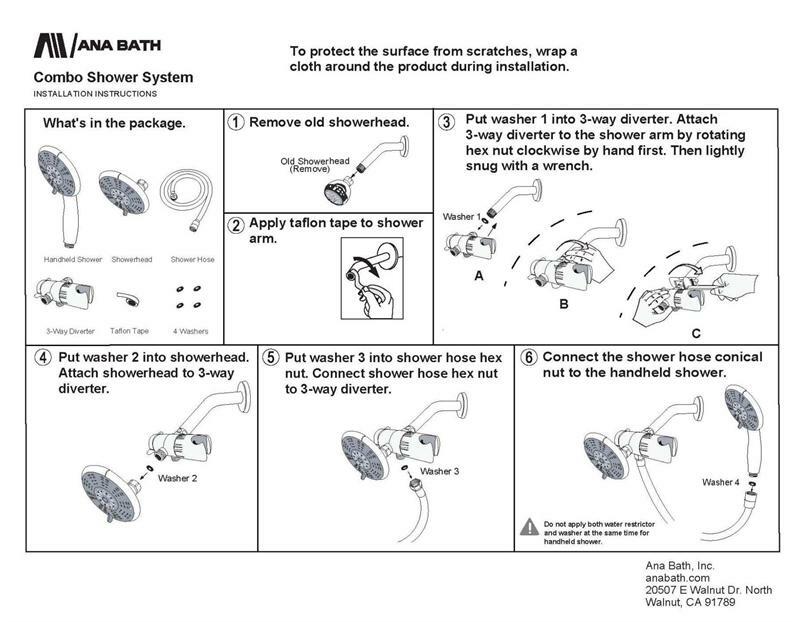 5 Inch Wide Showerheads: The 5 inch wide shower spray covers more area than normal showerheads. Provides Spa-Like experience. BRASS Connector 3-Way Diverter: Turn water to Handheld Shower, Stationary Showerhead, or Both. 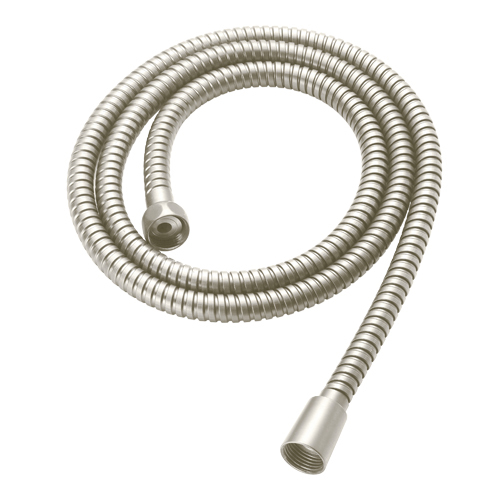 Metal Connector provides better durability. 8 Foot Stainless Steel Shower Hose with 2 Brass Nuts: Metal hose and fittings provide better durability.